Tiger Woods announced today that he has undergone successful back surgery and expects to be back playing golf this summer. Good for him. This is bad news for golf fans who passionately root for or against Tiger. But it is also bad for personal injury victims who are bringing a back injury claim in front of a jury. Why? Because juries get constant evidence from athletes that back injuries and back surgery is not a big deal. Some will equate Tiger Woods to 58-year-old Mary Smith when she has a discectomy and fusion for a herniated disc after a car accident. There are a number of reasons why the comparison is unfair. First, not all back injuries are created the same. Tiger had a microdiscectomy for a pinched nerve. That is light years from, say, a herniated disc suffered by great trauma. But some jurors view back surgery as back surgery regardless of the severity of the injury. 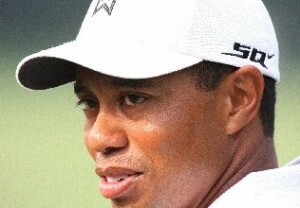 Second, Tiger is a professional athlete who dedicates his life to keeping his body in the best possible shape. Tiger won’t even share his workout secrets. He will also get stunning medical care. The best doctors and ridiculous amounts of medical attention you and I would never see. Finally, Tiger’s getting surgery in the first place is probably something you and I never would have gotten in the first place. Why? First, we are not violently swinging a golf club at pretty much the speed of light. So I can probably still workout and work around the same injury that Tiger needs to get taken care of so he can perform on a world-class level. Unintentionally, the media makes life hard on personal injury victims. The biggest problem is celebrities. For everyday people, a lawsuit is a big deal. It is not something used to solve minor difference. It is the weapon you use when all other efforts to resolve a dispute fail. I’m speaking in broad generalities, of course, some people want to file a lawsuit at the drop of a hat. (Here’s a good example.) But this is the small, albeit vocal, minority of us. Celebrities, on the other hand, view the civil lawsuit as the first line of defense against something that offends them. It is a part of the celebrity culture and they have the resources to fight battles this way. What do the American people take from this? They assume everyone files too many lawsuits. This bleeds into the credibility of the victim at trial. The other big media problem is the reporting of verdicts. First, they only report the winners. When a plaintiff loses a trial, it is not news. Defendants don’t like to brag because it brings attention to the fact that they were sued in the first place. So, they are not pushing it. Big verdicts are interesting and they get a lot of media coverage. But they are so out of context. In Maryland, you would think the Baltimore Sun is blithely unaware that there is a cap on damages in personal injury cases. They report the verdict as if the entire amount will be collected. The good reporters note the cap, but even then it is at the bottom of the article that may well have lost the attention of the reader along the way (or those just looking at the headlines). The point of this is that plaintiffs don’t get to start out on a level playing field. Some jurors take all of this information and immediately begin subconsciously trying to undermine the victim before a drop of evidence is presented to them. Of course, it does not mean plaintiffs can’t win jury trials. They can and do. It just means that sometimes they begin the fight uphill. Tiger Woods, though no fault of his own, has made the climb for back surgery victims seeking justice in a civil jury trial a tab bit harder.